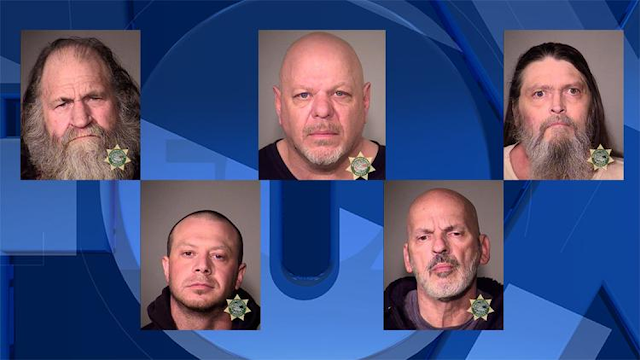 Portland, OR (February 1, 2019) BTN – Six members and associates of the Gypsy Joker Motorcycle Club have been charged by a federal grand jury, according to the U.S. Attorney's Office - District of Oregon. From left to right top row: Kenneth Earl Hause, Mark Leroy Dencklau and Earl Deverle Fisher. From left to right bottom: Ryan Anthony Negrinelli and Jospeh Duane Folkerts. With the exception of Hause, the U.S. Attorney's Office said the other five defendants also face charges of murder in aid of racketeering, kidnapping in aid of racketeering resulting in death, kidnapping resulting in death and conspiracy to commit kidnapping resulting in death for the June 30 to July 2, 2015 kidnapping and murder of Robert Huggins. Huggins was a former Gypsy Joker MC member and resident of southeast Portland. The five defendants are accused of killing Huggins to maintain and increase their positions in the criminal club. 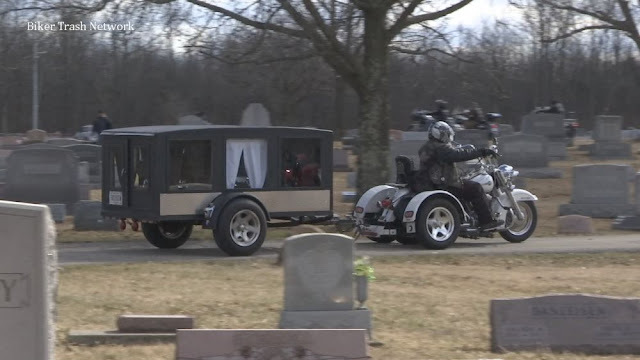 “According to the indictment, since at least 2003, the Gypsy Joker Motorcycle club have engaged in a wide range of crimes, including kidnapping, murder, drug dealing, robbery, extortion, and witness tampering,” said Assistant Attorney General Benczkowski. “Kenneth Hause is the leader of a criminal organization that, through its many chapters and support clubs, has sowed violence and intimidation throughout the Pacific Northwest. This is an organization whose members and associates pride themselves on living outside the law and use kidnapping, assault, murder and other forms of violence to extend and maintain their power. Kenneth Hause and his co-defendants will soon face the consequences of their crimes thanks to a seamless partnership of federal, state and local law enforcement agencies,” said U.S. Attorney for Oregon Billy J. Williams. The superseding indictment states the Gypsy Joker MC preserves, promotes and protects its power, territory and profits through violence and intimidation as well as enriches its members through extortion, robbery and the distribution of narcotics. 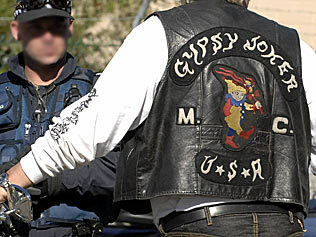 According to the U.S. Attorney's Office, the Gypsy Joker MC is known for using fear through its members and associates as a tactic for establishing and maintaining its power. Additionally, the club oversees several support clubs in both Oregon and Washington, including the Road Brothers Northwest Motorcycle Club, Solutions Motorcycle Club, Northwest Veterans Motorcycle Club, High-Side Riders, and the Freedom Fellowship Motorcycle Club. The U.S. Attorney's Office said Dencklau, Fisher and Tiler Evan Pribbernow, 37 of Portland, were first charged in a four-count indictment that was unsealed in July 2018. Pribbernow pleaded guilty to a single count of conspiring to conduct and participate in the activities of a racketeering enterprise on November 7, 2018. Dencklau and Fisher are detained pending trial. Along with the criminal charges brought against the five named defendants in the superseding indictment, the government is seeking forfeiture of a property in Salem that is used as a Gypsy Joker MC clubhouse.